Home » What is Topical Stamp Collecting? Topical stamp collecting is the process of finding and organizing stamps with a common design or subject theme, such as animals (i.e. elephants, panda bears, horses, etc. ), transportation types (i.e. automobiles, trains, airplanes, etc. ), famous people (i.e. poets, painters, politicians, kings and queens, etc.) or activities (i.e. war, bicycling, chess playing, etc.). A collection of topical stamps can also embrace symbols such as flags and maps, historical figures such as saints and martyrs or events such as world cup soccer or Olympic sports. 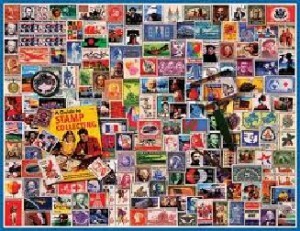 All of these topical subjects and hundreds more are regularly depicted on stamps issued by all countries of the world. What then causes stamp collectors to become interested in a particular topic or theme found on postage stamps? The individual collector may have a dog or cat as a pet and therefore looks for such animals on stamps or they might be interested in Princess Diana and look for stamps with her as the subject of the issue. Sometimes, it may be random happenstance, that the stamp collector simply likes a certain stamp and wants to find and collect more similar type stamps. A good example of this are stamps in odd shapes such as bananas, diamonds, coins, etc. Even though, generally speaking, most topical stamps are inexpensive, some topical issues can become quite expensive. These sometimes include issues with World Life Fund subjects, #1’s of the world and zeppelins on stamps. The process of becoming a successful topical stamp collector usually requires that the individual develop some knowledge of their subject so that they can recognize those stamp issues that meet their collecting criteria. An excellent example of an early animal or wildlife topical stamp is the below depicted stamp issue from Nyassa (the Portuguese colony issued this Giraffe stamp in 1910 as part of a larger set of African wildlife). A major resource for all serious and not so serious topical stamp collectors is the American Topical Association (ATA). The ATA is a USA philatelic society dedicated to sharing the knowledge developed by topical stamp collectors and is the worlds largest such society. The ATA was established in 1949 and currently has members from more than ninety nations around the world. The society publishes a bi-monthly journal (Topical Times) publishes numerous handbooks and checklists for many hundreds of different topical stamp subjects. They host the annual National Topical Stamp Show with many displays and a dealer bourse. Their show is attended by thousands of topical stamp collectors every year. How do you store and or present your topical stamp collection? Statistically speaking, most topical collections are housed in self-developed album or storage systems. Even though there are commercially produced topical stamp albums, notably by the White Ace company which publishes 33 different topical collection page sets and Minkus which has about 25 different topical collection page sets, most topical collection are too specialized to find commercially produced album pages. Home made pages of acid free paper in 3 Ring binders work just fine and with today’s home PC driven desk top publishing you can make pages that look just as good as the commercial ones but specifically designed for your stamps. There is not really any right or wrong way to create a topical stamp collection, except of course never use scotch tape and it is usually better to use stamp mounts for your mint stamps that have gum on the back. The collection itself can be as narrowly or as broadly defined as you desire, the only limit is your imagination and enjoyment. How do you find the topical stamps you want for your collection? The same way you find any stamps for any stamp collection. Friends, relatives, neighbors, other collectors, government philatelic agencies and stamp dealers. Bear in mind though, that stamp dealers are normally organized either on the basis of countries or on the basis of topics but rarely both ways. You can also check Craigslist, eBay, BidStart, DelCampe and Stamps2Go plus other collectibles websites for stamps that meet your topical stamp collecting criteria. Remember, stamp collecting in all forms should be fun. So grab your tongs and magnifier and begin the search for your favorite topic. Maybe it is South American dictators facing to the left on diamond shaped stamps in mint blocks of four, who knows? A is for Area of Interest. This refers to your preferred theme for your collection that particularly depicts your interest/s. Common themes for stamps range from animal (i.e. birds, cats, and fish), personalities (such as political leaders, entertainers, and religious individuals), and even places (notable landmarks, sceneries, tourist spots) that may interest you. B is for Bring the Stamps In. After deciding on your chosen topic, look for available stamps from dealers or stores, or you could purchase them from available postal agencies. Values of postal stamps vary on the rarity and also on the condition of such. Just a reminder: gathering stamps of different designs would eat much of your time, yet this could be a fulfilling job once you have collected a number of such desired stamps. Our site is here to directly help you look out for the most unique and quality topical stamps that would surely fit into your collection! Now that you have your stamps, the next thing to do is to sort the collected stamps and compile and store them into a stylish arrangement by using stamp album or stock book. Or, you could also have them displayed in your own created scrap book for a more creative touch.